Moverworx IT Cloud Service offers a wide range of customizable options, suited to fit the needs of any business, no matter the size of the company. without the cost of the IT Department! Let us help you decide if we are the best solution for your managed IT services, answer your questions and even organize a customized quote for you to consider. We will perform a network evaluation that relates to your businesses needs and company size to determine the best cloud solution package for you. The organizations of both technological and IT infrastructure are exactly the sort of tasks that consume a lot of resources when your company grows. With ample functions provided by the cloud service, it becomes effortless to overcome the obstacles that come with the development of a new business. Access your own database from anywhere in the world, and on any device. Including but not limited to; Laptops, Tablets, and Smartphones. The Cloud Service offers eye-catching choices for all company sizes. This is because the Cloud Service allows you to invest in the best service level that matches your needs. IT Cloud Service provides many benefits that allow employees to access the software application and their database from any laptop, computer, or mobile device in any place around the world as long as they have access to the internet. 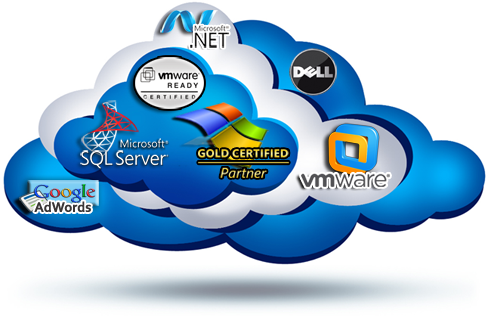 The cloud is not restricted to any level of IT department expertise or hardware capacity.